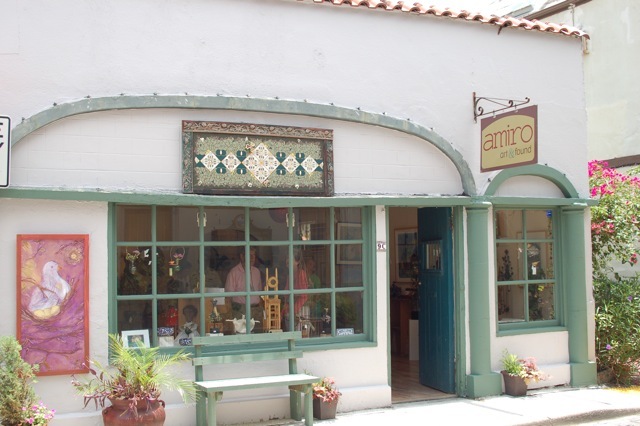 The artists of Amiro Art &Found have created a modern day Cabinet of Curiosities that fills the gallery with art, oddities, and other objects of interest for purchase during the August 1, 2014 First Friday Art Walk. The gallery, located at 9C Aviles Street in downtown Saint Augustine will be open during the Art Walk from 5:00p.m. to 9:00p.m. Light refreshments will be served. The word cabinet originally described a room rather than a specific piece of furniture. 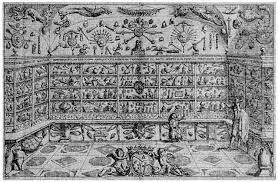 The classic “Cabinets of Curiosities”, also known as wonder-rooms, were assembled in the mid sixteenth century by European aristocrats, the merchant class, and early scientists. The rooms served as spaces for solace and contemplation as well as demonstrations of magnificence and power. 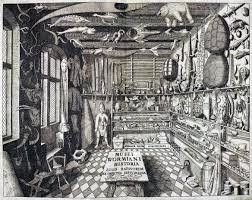 The Cabinets were repositories for unusual and extraordinary objects and phenomena including, prints, books, drawings, photographs, and oddities from the animal, vegetable and mineral world. Cabinet of Curiosities will be on display through August. Amiro is open Thursday-Monday from 11:00 a.m. to 5:00 p.m. with extended hours on Fridays and Saturdays. For more Information about Amiro Art & Found please call 904-824-8460 or visit www.amiroartandfound.com.